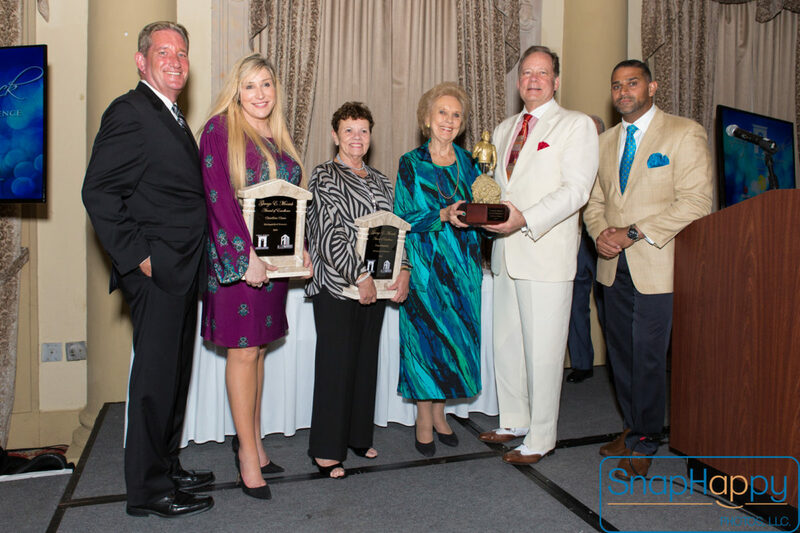 The Allen Morris Company, in partnership with the Coral Gables Chamber of Commerce, honored Dorothy Thomson as the recipient of the 9th Annual George E. Merrick Award of Excellence™ on Thursday, August 25th, 2016 at the iconic Biltmore Hotel. Dorothy Thomson began her lifelong service to the Coral Gables community as a young mother when she served in leadership roles in the Parent-Teacher Association. After going on to be a member and serve on the boards of many civic organizations, Thomson at age 47 won a seat on the Coral Gables Commission. She went on to serve 16 years on the Commission including one term as the first and only woman mayor in the history of Coral Gables. Thomson championed the restoration of the city’s premier landmark, the historic Biltmore Hotel, co-founded the Coral Gables Citizen’s Crime Watch and Crime Watch of Dade County and spearheaded a community focus on senior citizen issues that resulted in the establishment of the city’s first Senior Citizens’ Office. Thomson was the impetus behind many beautification projects in town, including the creation of Ponce Circle Park. The George E. Merrick Award of Excellence™ was established in 2008 to celebrate and recognize a true visionary leader who has made a significant impact and set standards for the cultural celebration, promotion, beautification, preservation and economic growth of the City of Coral Gables. Claudine Claus, Home Financing Center, Inc. The Chamber and City National Bank also honored three leaders with the 3rd Annual Merrick-in-the-Making Awards. The 2016 Honorees were: Innovator: Melissa Medina, eMerge Americas; Entrepreneur: Jeffrey Weiner, MDW Insurance Group; and Community Builder: Carlos Garcia, Hancock Askey & Co., LLP. The Merrick Legacy Award was established to recognize a Legacy Organization that endures today and continues to embody the living spirit and vision of George Merrick. This award was presented to The City of Coral Gables. The Coral Gables Chamber of Commerce represents more than 1,500 members and is the second largest business association in Miami-Dade County. Their mission is to foster and enhance the economic interests of the Coral Gables community, while advancing the quality of life of our members, partners, neighbors and visitors. For more information on our Chamber, please visit www.coralgableschamber.org or follow-us on Facebook at www.facebook.com/coralgableschamber.